At Arbor Pointe Church, we are a group of imperfect people seeking and serving the One who is perfect. We welcome all as we believe Jesus would. We are a casual, current style of worship service and you can dress up or dress down as you please! Our Sunday morning worship service is generally 60-75 minutes or so but we leave room always for what the Holy Spirit may be doing on a given morning so have been shorter and longer than that. 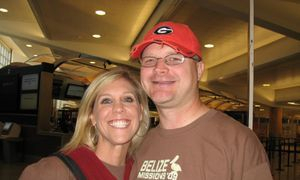 Arbor Pointe Church was founded by Joe McKechnie as a new United Methodist Church for the Jackson County area in 2004. For much of the next 8 years, the church met for worship at West Jackson Middle School. God opened the door for a relocation to a more permanent home in 2013, and the church moved to its current location at 115 Towne Center Parkway in Hoschton. We also are family-focused and believe that it is a good thing for our children to be worshiping with us from age 4 and above. (We provide nursery for 3 and below) We do have a 'playground' in the corner of the Worship Center that has a rocking chair, drawing/coloring materials and toys for our more active children. We encourage our kids to participate in the service through dance, song, and children's moment. Our youth are part of our service as well as they usher, greet, run audio-visual media, do announcements and more. We seek to be the kind of place that ensures our young members know they are part of the church! We are glad you are checking us out and look forward to getting to spend some time worshiping God together! We believe unabashedly that God created each of us to be in relationship with Him and with each other - to Love God and to Love our Neighbor. At Arbor Pointe, we seek to be a church of inspiration – a different kind of place that actively looks for ways to engage with our community and to lead people from where they are to where God would have them to be – regardless of whether brand new believer or long-time Christian. 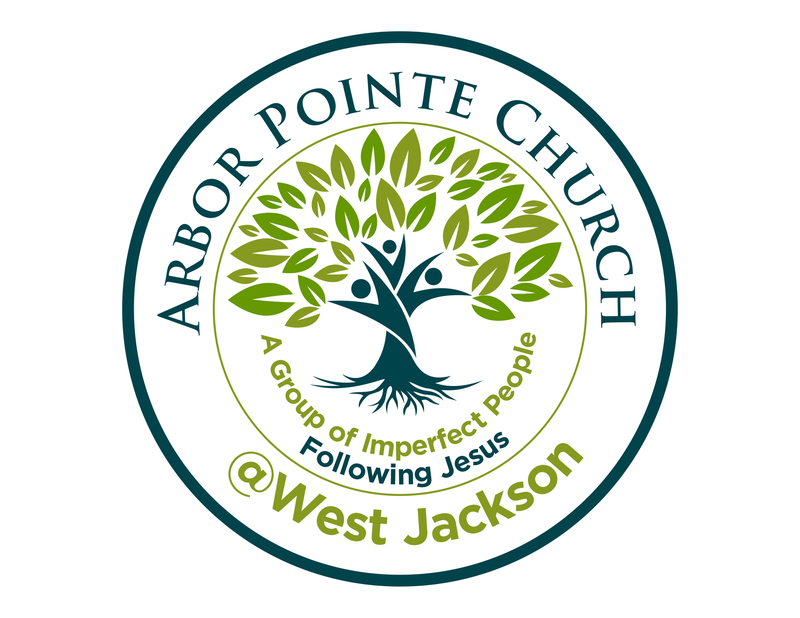 Arbor Pointe Church was founded as a new United Methodist Church for the Jackson County area in 2004. For much of the next 8 years, the church met for worship at West Jackson Middle School. God opened the door for a relocation to a more permanent home in 2013, and the church moved to its current location at 115 Towne Center Parkway in Hoschton. We are a casual, current style of worship service and you can dress up or dress down as you please! We are a group of imperfect people seeking and serving the One who is perfect and welcome all as we believe Jesus would. Our Sunday morning worship service is generally 60-75 minutes or so but we leave room always for what the Holy Spirit may be doing on a given morning so have been shorter and longer than that. We help each person become who they are uniquely created to be, doing so in the community of the body of Christ – to be who they are…for Him. The church is at its best when it is a movement in community, not just a destination on Sunday and God has a calling to ministry and mission for each of us. The first calling is to accept the relationship God offers each of us in Christ. God’s desire is that ALL would say “Yes!” to the offer of salvation and relationship. 1 Timothy 2:4-7 (NIV): I urge, then, first of all, that petitions, prayers, intercession and thanksgiving be made for all people— 2 for kings and all those in authority, that we may live peaceful and quiet lives in all godliness and holiness. 3 This is good, and pleases God our Savior, 4 who wants all people to be saved and to come to a knowledge of the truth. 5 For there is one God and one mediator between God and mankind, the man Christ Jesus, 6 who gave himself as a ransom for all people. The Message reads: 4-7 He wants not only us but everyone saved, you know, everyone to get to know the truth we’ve learned: that there’s one God and only one, and one Priest-Mediator between God and us—Jesus, who offered himself in exchange for everyone held captive by sin, to set them all free. Eventually the news is going to get out. This and this only has been my appointed work: getting this news to those who have never heard of God, and explaining how it works by simple faith and plain truth. We join with all other Christian churches in this desire to see everyone come to know what it means to be in relationship with Jesus – both in this life here and now and in the life to come, there and then. Calling is also lived out in our personal lives and at Arbor Pointe Church we seek to inspire each person to discover their personal calling through the discovery of spiritual gifts, passion, talents, personality characteristics and experiences. This is done in an intentional small group format with assessment and guidance from those who have walked this path before. We are meant to live lives of significance. You will be challenged to live such a life here at APC. Our dream at Arbor Pointe Church is to be a force for Jesus in our community! Our vision is to inspire people to fulfill God’s calling in their lives.